Local leaders and UAMS officials gather at the entrance to the Family Medical Center to celebrate its opening at the UAMS East Regional Campus in Helena. Nov. 7, 2017 | Nov. 7, 2017 | The University of Arkansas for Medical Sciences (UAMS) East Regional Campus in Helena today celebrated the opening of its Family Medical Center, as part of its strategic efforts to expand clinical and educational services in the Delta. About 5,400 square feet of the facility were recently renovated at a cost of $650,000 to be able to house eight exam rooms that support a full-time family practice physician and staff along with new offices and storage space. “The clinic renovations would not have been possible without our wonderful partnership with the Helena Health Foundation. For the past 11 years the Helena Health Foundation Board has been an excellent landlord, working with us not only on building issues but supporting so many of our programs. This foundation and its dedicated members are truly making a difference in the health of the Delta,” said Becky Hall, Ed.D., director of UAMS East Regional Campus. 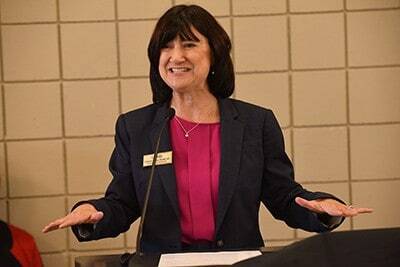 UAMS Interim Chancellor Stephanie Gardner, Pharm.D., Ed.D., addresses the audience at the opening celebration. 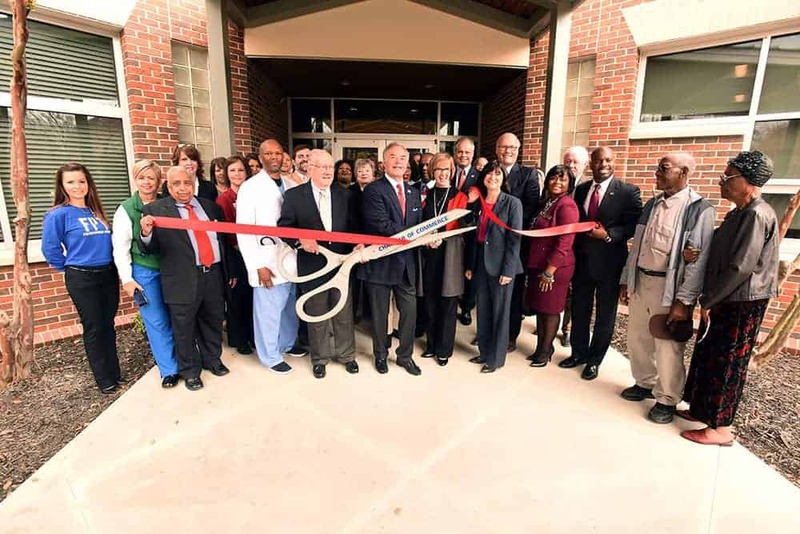 State legislators, local dignitaries, UAMS Interim Chancellor Stephanie Gardner, Pharm.D., Ed.D., and UAMS officials were on hand for the ribbon cutting. Groundbreaking on the project was in June. Thomas Bailey, M.D., the center’s medical director, is a Helena native and graduate of the UAMS residency program in Pine Bluff. He began seeing patients at the UAMS East Campus on Oct. 23. Bailey has more than 15 years of private practice experience in the region. Josephine Jackson, A.P.R.N. ; Anita Sanders, L.P.N. ; and Marla Clark, L.P.N., have joined him to serve the center’s patients. Becky Hall, Ed.D., UAMS East Regional Campus director, left, speaks to the crowd at the celebration. UAMS East Regional Campus was founded in 1990. Its staff of 25 serves the seven Arkansas Delta counties of Chicot, Crittenden, Desha, Lee, Monroe, Phillips and St. Francis. Attending the opening were state Sen. Keith Ingram; state Rep. Chris Richey; Helena Mayor Jay Hollowell; Phillips County Judge Clark Hall; and Sterling Moore, UAMS vice chancellor for Regional Campuses. Representing the Helena Health Foundation were Chairman Victor Juengel and numerous board members. Larry Delk and Associates was the general contracting firm, and Polk Stanley Wilcox Architects did the architectural design work on the project. “We are excited about providing our patients with state-of-the-art medical care and services such as diabetes education, chronic disease management and weight management,” Hall said.